If you fancy a little sunshine alongside your deep snow this winter, it might be time to visit the largest ski area in the southern Alps, Serre Chevalier Briançon – which boasts 300 days of sun a year! Despite being one of the less well known of the giant French ski areas, in Britain at least, “Serre Che” – as it’s known to its friends – certainly has the stats that stack up alongside the biggest of the rest, with 3,901 hectares of skiable terrain (the largest in the region), divided into more than 80 runs for all tastes and ability levels and served by no fewer than 59 fast ski lifts. 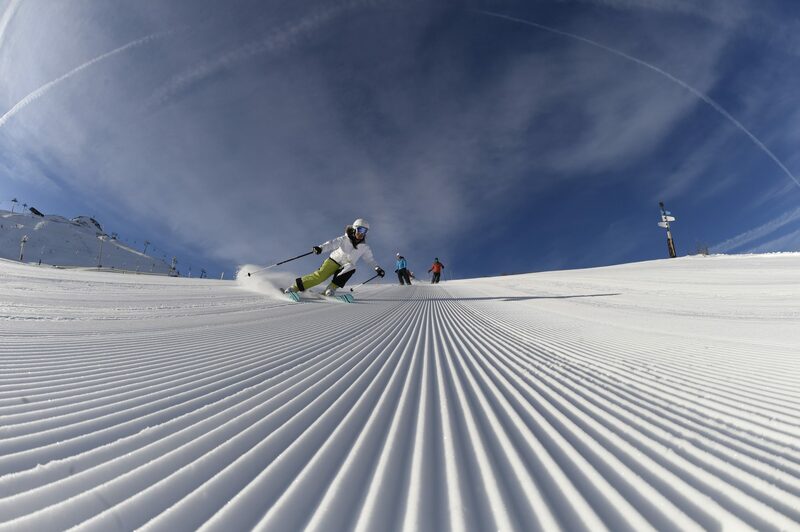 There are four play zones on the slopes, including a huge terrain park and a boardercross course, and those concerned about snow reliability wherever they book these days will be reassured to know that 80% of the area’s ski runs sit at a height of more than 2,000 metres. However, having provided these world-class stats, I have to tell you Serre Che is not actually about the stats: it’s all about the resort itself. Serre Chevalier is made up of a number of hamlets and villages spread along the Guisane Valley floor, from the old walled town of Briançon, itself a UNESCO World Heritage Site. The resort has a long history (the first ski school in France was established here in 1902) but over the years it has tried hard to avoid the “concrete-monolith-mentality” of some of the other big French resorts, and there are a good number of traditional buildings and authentic architecture in the villages, despite Serre Chevalier’s success and inevitable growth. 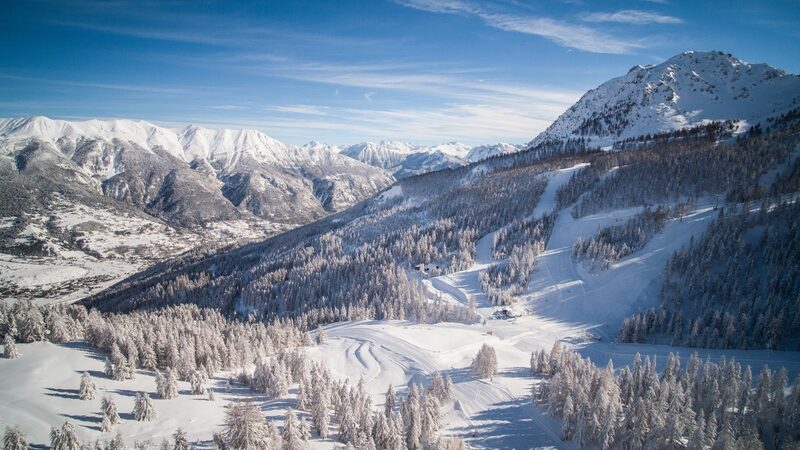 In other words, if you want a real community in beautiful natural surroundings, as well as great snow and plenty of sunshine, Serre Chevalier Briançon is the resort for you. This winter the resort will be open for the weekend of 7 to 9 December 2018 and then non-stop from 15 December 2018 to 22 April 2019 – taking in the late Easter holiday. Special events this season include the return of the Altitude Jazz Festival from 19 January to 1 February 2019, with concerts throughout the valley, and the third edition of Serre Chevalier’s Grand Prix, which looks set to be crazier than ever when it takes place on 16 March 2019. Over 1,500 skiers/snowboarders participated in the last edition! Regular visitors to Serre Chevalier Briançon will be excited to discover a brand-new six-person high-speed chairlift in the Villeneuve area following a €10 million investment. The new Côte Chevalier lift means that getting from Villeneuve to Chantemerle will be much easier and much faster (3,000 people per hour instead of 1,800pph on the old lift it replaces). Guests visiting Serre Chevalier Briançon this winter will also discover the new 4★ hotel that has opened in Monêtier-les-Bains. The Hotel Le Monêtier offers a choice of 21 spacious rooms, each with a south-facing terrace and balcony. The hotel is decorated in the spirit of a charming mountain lodge and has a well-being area and a restaurant, Le Stabatio, with a terrace providing a 180° view of the slopes. Finally, an interesting new attraction is a cryotherapy centre, GoCryo, which has opened in Briançon. Cryotherapy, long used by top athletes, is well known for its effectiveness in the fields of sports, health and well-being and is increasingly recognised by the medical profession. It is great for athletes in terms of optimal recovery and increased physical performance. Cryotherapy is renowned for its ability to reduce symptoms in joint and neurological diseases such as polyarthritis, multiple sclerosis and osteoarthritis. It is also useful in contributing towards post-surgical and post-traumatic recovery. It can also help ease skin diseases, sleep problems, depression and vascular problems. Following extensive research, GoCryo has installed an electric chamber, which, unlike the liquid nitrogen used in some centres, enables whole-body immersion. The temperature is between −80°C and −100°C, and a session lasts around three minutes. The GoCryo centre was opened by Leo Meyer, an osteopath with 20 years’ experience, to enable sportsmen and women and the general public to benefit from this innovative and highly effective treatment. 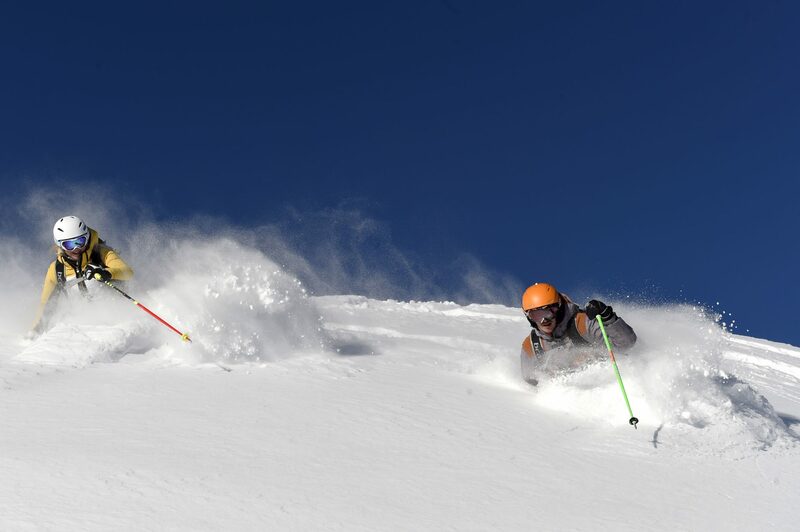 Many leading ski holiday companies offer package holidays to Serre Chevalier Briançon, including Club Med, Crystal, Inghams, Lagrange, Peak Retreats, Ski Independence and Zenith, amongst others. You can reach Serre Chevalier Briançon by flying to Turin airport (Italy) then taking the Linkbus shuttle or car (1.5 hours), or to Grenoble airport then taking the Linkbus shuttle or car (2 hours) or to Lyon airport then taking the Linkbus shuttle or car (3 hours). You can also arrive by rail from the UK into Briançon’s own station, or to Oulx station in Italy, then taking the connecting and shuttle (45 minutes).